When it comes to rings, the more the merrier. 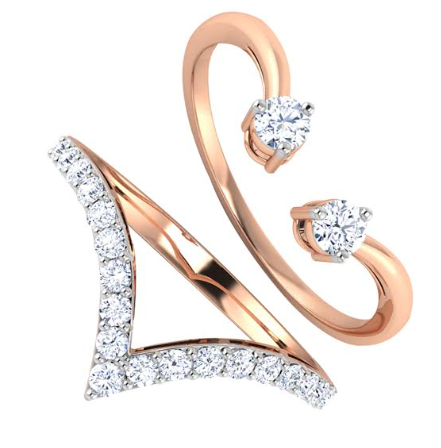 You can wear yellow, white and rose gold to stunning effect: with cute shapes like hearts, horseshoes, and stars. These delightful rings are available in different shapes and in abundant patterns. There are thin delicate ones as well as chunky ones studded with precious stones. Stacked rings are a great way to mix and match colors and styles to create something totally unique and get the perfect look. Dainty stacked rings look good on any finger and are best worn piled high! “Drawing inspiration from this, CaratlLane has launched a new collection based on the hottest trend that has taken the fashion world by storm- stackable rings! It’s all about creating your own unique look, and that’s what I do every day,” says Pradnya Mhaske, GM, Merchandise & Design, Caratlane. Colorful blue, green, red or white gemstones rings add to the variety. Stacking on four to five differently patterned rings is a great way to glam up your fingers! Visit CaratLane, India’s leading Omni-channel jewellery brand, to get your own ‘stack-on’ from their newly launched stylish stackable rings.